Let’s use lines to think about situations. A different ant and ladybug are a certain distance apart, and they start walking toward each other. 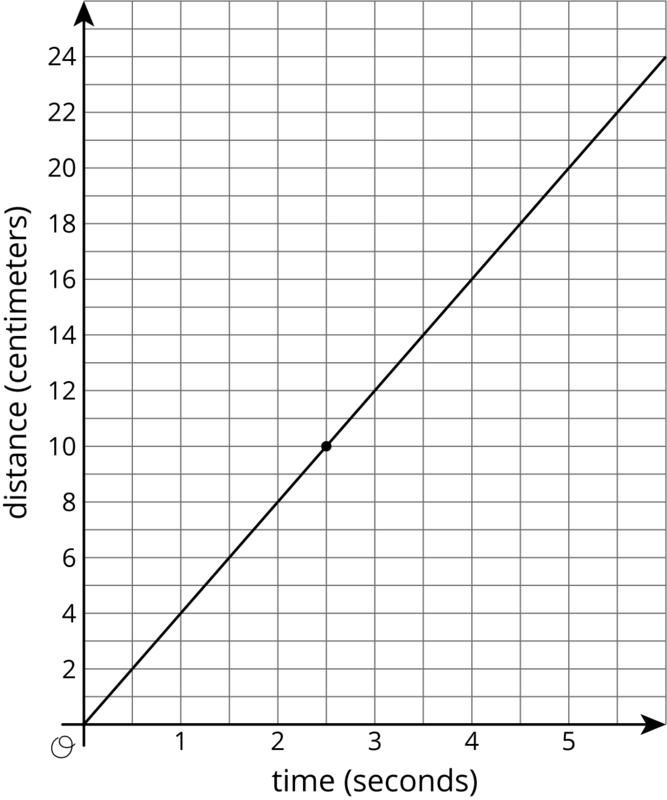 The graph shows the ladybug’s distance from its starting point over time and the labeled point $(2.5,10)$ indicates when the ant and the ladybug pass each other. The ant is walking 2 centimeters per second. Write an equation representing the relationship between the ant’s distance from the ladybug’s starting point and the amount of time that has passed. If you haven’t already, draw the graph of your equation on the same coordinate plane. Graph the relationship between distance and time for Jada’s bike race. Make sure to label and scale the axes appropriately. Elena traveled the entire race at a steady 6 meters per second. On the same set of axes, graph the relationship between distance and time for Elena’s bike race. $$d = 75t$$ The point $(2, 150)$ is on the graph of this equation because $150 = 75 \boldcdot 2$: two hours after passing the rest area, the car has traveled 150 miles. we can ask if there is ever a time when the distance of Car A from the rest area is the same as the distance of Car B from the rest area. If the answer is “yes”, then the solution will correspond to a point that is on both lines. Looking at the coordinates of the intersection point, we see that Car A and Car B will both be 7.5 miles from the rest area after 0.1 hours (which is 6 minutes). Now suppose another car, Car C, had also passed the rest stop at time $t=0$ and traveled in the same direction as Car A, also going 75 miles per hour. It's equation would also be $d=75t$. Any solution to the equation for Car A would also be a solution for Car C, and any solution to the equation for Car C would also be a solution for Car A. The line for Car C would land right on top of the line for Car A. 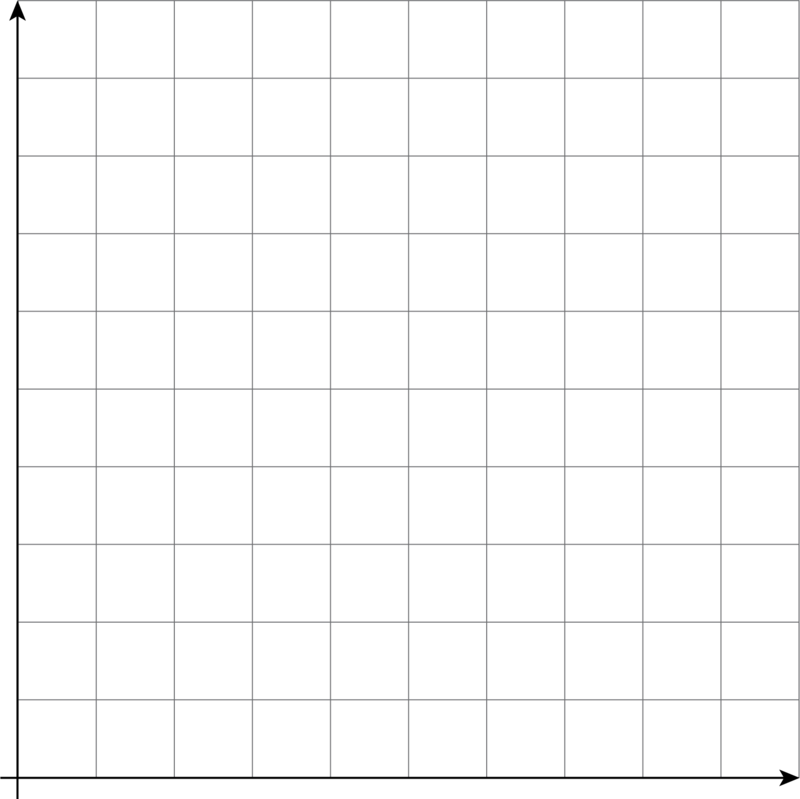 In this case, every point on the graphed line is a solution to both equations, so that there are infinitely many solutions to the question “when are Car A and Car C the same distance from the rest stop?” This would mean that Car A and Car C were side by side for their whole journey. When we have two linear equations that are equivalent to each other, like $y = 3x+2$ and $2y = 6x +4$, we will get two lines that are “right on top” of each other. Any solution to one equation is also solution to the other, so these two lines intersect at infinitely many points.